If you are a Thai citizen who wants to travel to the US for a brief visit, you will need a B2 tourist visa. A B2 tourist visa is usually valid for 6 months and is intended for travel, medical tourism, and visiting relatives. 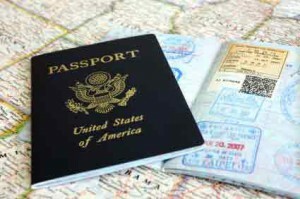 Immigration officials are required to presume that all tourist visa applicants plan to permanently settle in the US. If you have an American boyfriend, the chance that your B2 visa application will be approved is extremely low. You should apply for a K1 visa instead of a tourist visa if you plan on getting married in the US. Unfortunately, it can be difficult for Thai citizens to successfully apply for tourist visas. Tourist visa applicants will not receive a visa unless they can convince immigration officials that they will return to Thailand after their visit. To convince the visa officer that you plan on returning to Thailand, you will need to produce evidence that you have strong economic and social ties in Thailand which suggest you will return. To successfully apply for a B2 tourist visa you need to produce documentation that shows you have enough money to finance your trip and enough community ties in Thailand to suggest you are likely to return. There are no specific financial requirements. If you plan on spending three months in the US the visa officer will expect you to have saved more money than if you are only planning a three week trip. 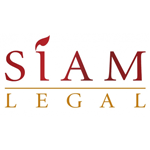 Showing significant property in Thailand, such as deeds to land or a title to a car will help your application. If you are enrolled in school or have a steady job this will also help. If you are leaving your spouse or children behind in Thailand, this will also be good evidence that you will come back. Remember to bring documentary evidence with you to your visa interview. There is no specific formula that will make an application successful. The decision on whether to deny or grant your visa lies with the visa officer conducting your interview. If he or she believes you, your visa will be granted. If he or she thinks you are hiding something or lying, he or she can deny your application even if you produce lots of evidence. The first step in the B2 tourist visa application process is filling out Form I-160 online. Be sure to write down your Application ID so you can continue your application if you are disconnected or need to take a break. After you submit your application online, you will get a receipt which you will need to bring to your interview at the US Embassy in Bangkok or Consulate in Chiang Mai. Then you can schedule a visa interview at the US Embassy in Bangkok or Consulate in Chiang Mai. You will need to buy a pin number, in order to schedule your visa interview. Arrive 30 minutes early for your interview, so you have time to pass through the security checkpoint. Make sure you bring your passport and any documents you gathered to support your application. When you arrive at your interview you will submit your passport and supporting documents and be fingerprinted. Then a visa officer will go over your application with you and ask questions to try to make sure you will leave the US before your visa expires. Be sure to answer honestly and openly. If your visa application is approved, buy an envelope at the Thai Post counter so that your passport and visa can be return to you.